High velocity fans have the power to create strong air circulation in commercial and industrial situations, but as one happy consumer in Minnesota attested, there’s no reason they can’t be used to cool down homes as well. 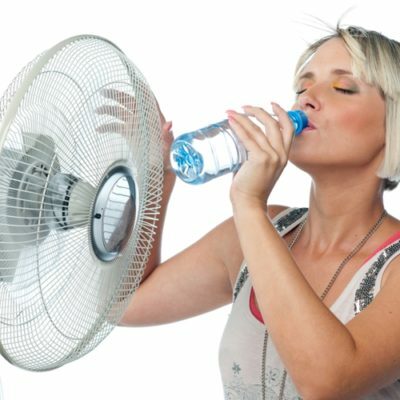 A Minnesota woman posted online that she uses a high velocity model in tandem with small air conditioning units, and the air circulation provided by the electric fan cools down her entire apartment. Luckily for homeowners, high velocity fans come in a range of styles – pedestal, wall-mounted and floor fans. That makes them a versatile choice that can be fitted to a variety of cooling needs in the average home. Pedestal-style high velocity fans by Lasko stand as high as 81 inches and are designed for widespread coverage through oscillation and a fan head that can be adjusted vertically for targeted cooling. An aerodynamically curved blade reduces wind drag and wheels are attached to the base so the fan can be moved easily from room to room. Some high velocity floor models can be converted quickly into wall-mounted fans with special wall brackets. A pivoting fan head directs air flow in three speeds from either floor level or overhead. For more utilitarian purposes, Lasko offers a belt-drive drum fan that also has wheels for easy mobility for use in garages, basements or home workshops. As with other electric fans, situating these high-powered fans strategically in a large area to be cooled, the cross breezes created can help homeowners cut their utility bills by relying less on their air conditioners and more on fans. On the hottest days, consumers can use their air conditioners for just enough time to get the temperature down in their homes, then turn the AC off and have fans continue to circulate the cooled air throughout one or more rooms. It’s one way to make the most of the air-conditioning without having to run window units or a house-wide system any longer than necessary. As the Minnesota customer pointed out, the same approach can be taken to circulate heat during colder months, making high velocity fans useful for year-round use.